A camping adventure might be one of the most thrilling activities we could ever have. Sure, it’s fun and you’ll get reunited with nature and even get in touch with your inner self. But all the fun and reflection might be wasted and get ruined if you’ve forgotten to bring a match or a knife, or lacked one of the poles of the tent or worst comes to worse, you forgot to bring the tent. 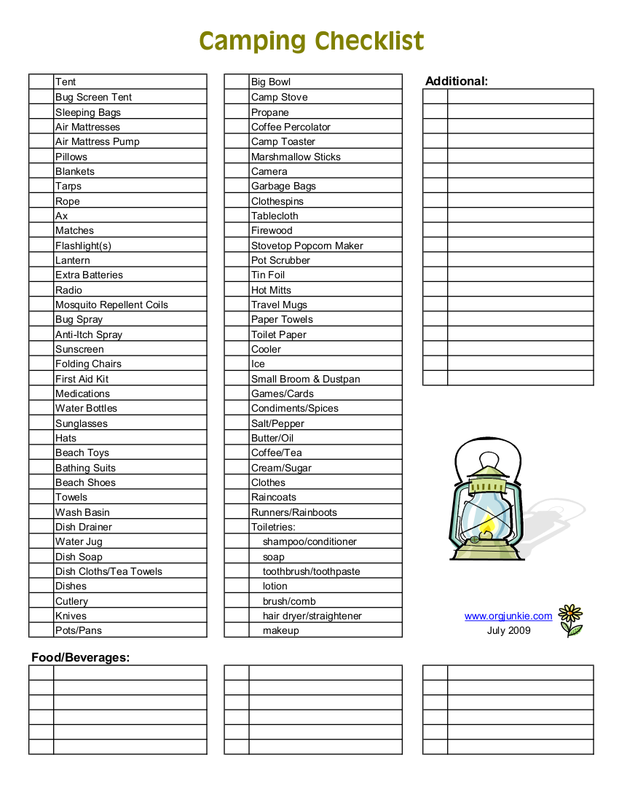 you may also see Baby Registry Checklist Examples. Actually, it could get worse than that. When it does, instead of sharing horror stories in front of a campfire, you would be witnessing a horror story where you are the main character as you would venture deep into the woods and as you look for something that could serve as your tent since you stupidly forgot to bring yours. When it does, instead of having your soul rekindled back to mother nature, it would not just be your soul that will be rekindled by nature but it would also now include your mind and body as you walk deep into the forest to look for something to eat since you, again, stupidly forgot to bring imperishable food supply . Unless your kind of fun is stressing over the things you forgot to bring, then go suit yourself. 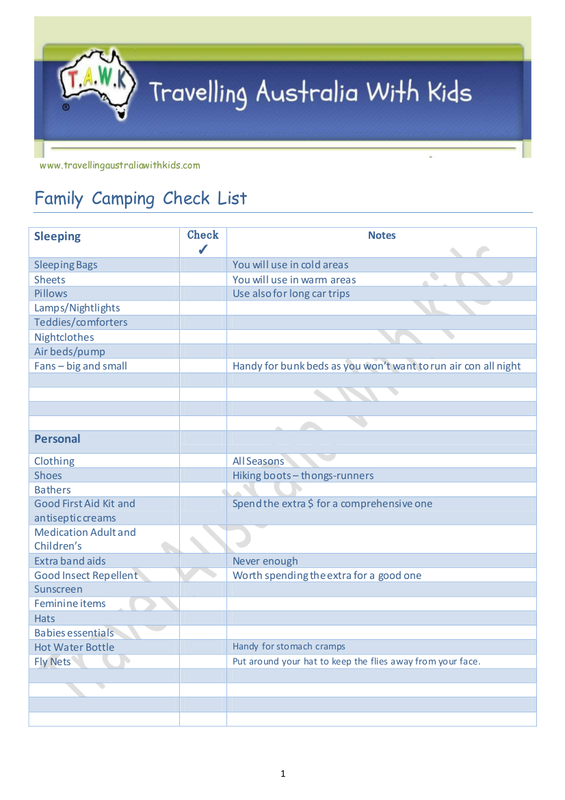 But there is actually a way for you to actually have a fun and exciting camping adventure and that is through the making of checklists. 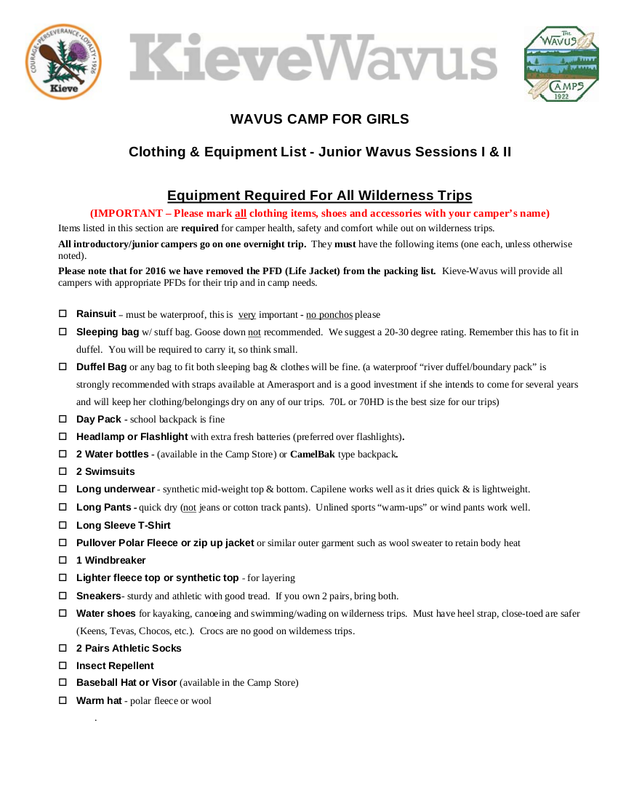 To avoid situations wherein you would forget the essential things to bring for your camping and that you would only remember about it when you are already on the camping site, checklists examples would always come to the rescue. 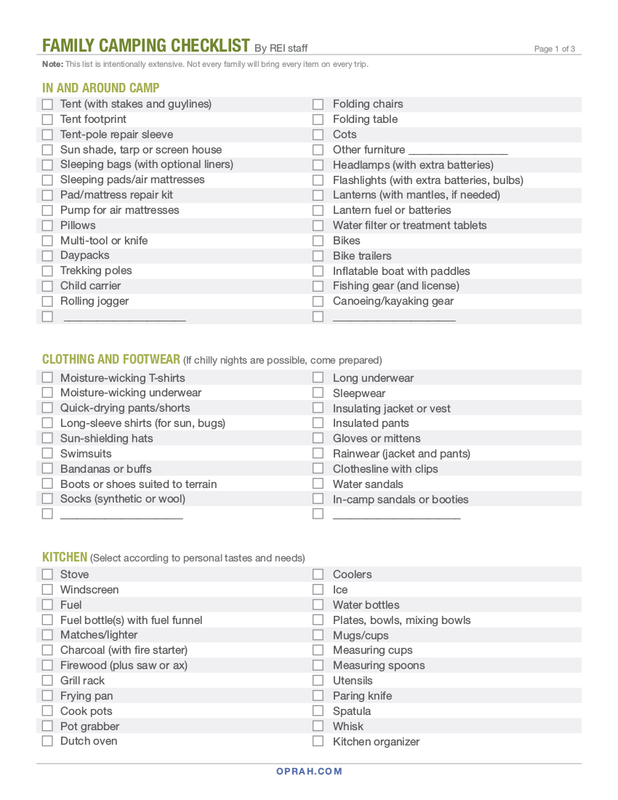 Checklists would not only help you in preparing the essential things that you should be bringing on a camping adventure but it would also save your life—literally. Unless your cup of tea is a survival kind of camping where you would want to challenge your innovative skills, again, go suit yourself. 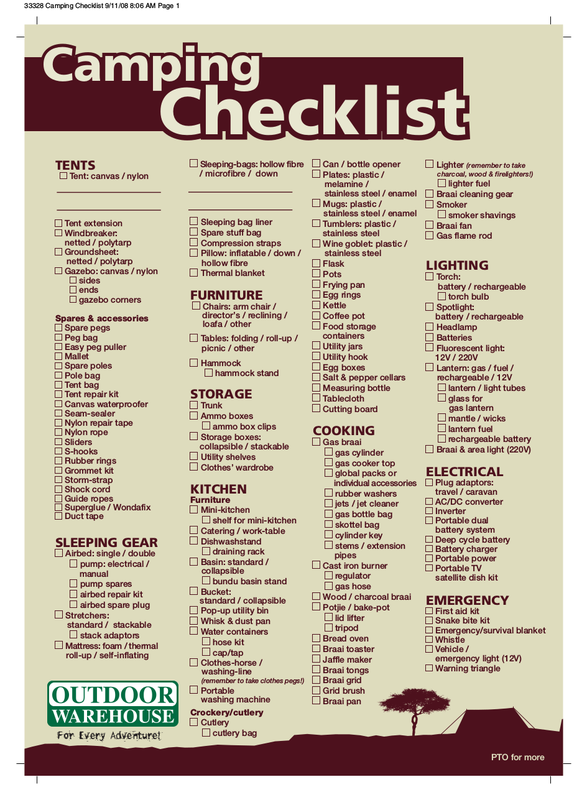 But if what you are about to do is a leisure kind of camping, then you should really adopt the art of checklist making. 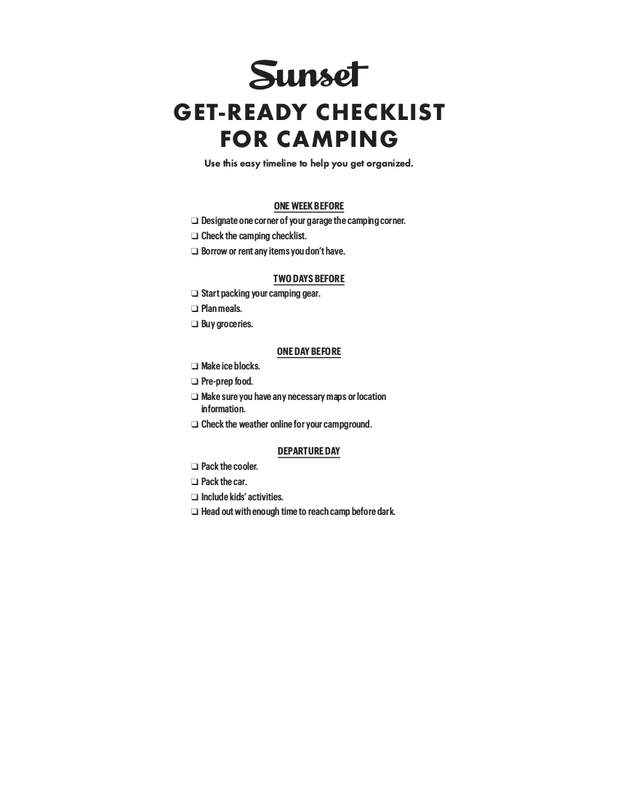 What Is a Checklist for Camping? 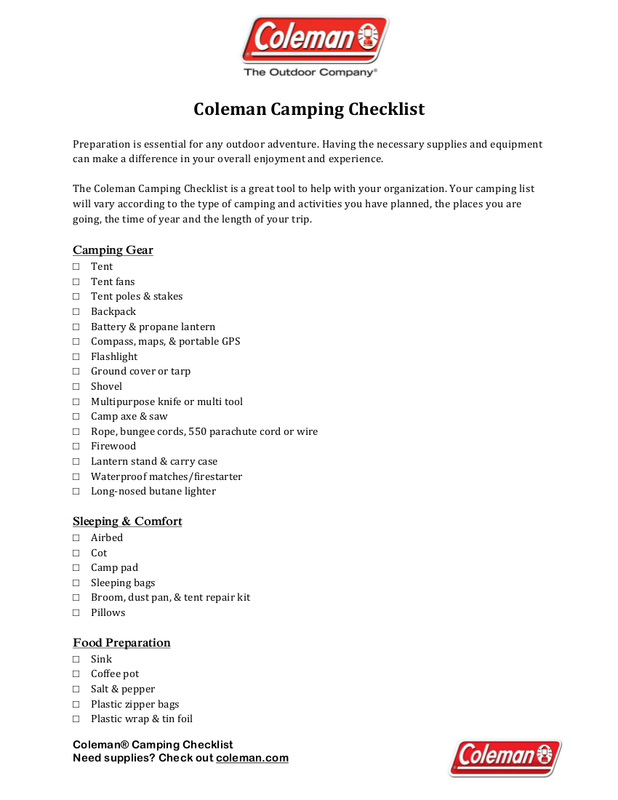 A checklist for camping simply is a list of items and things that you need to bring and that you need to process for the preparation of your camping. 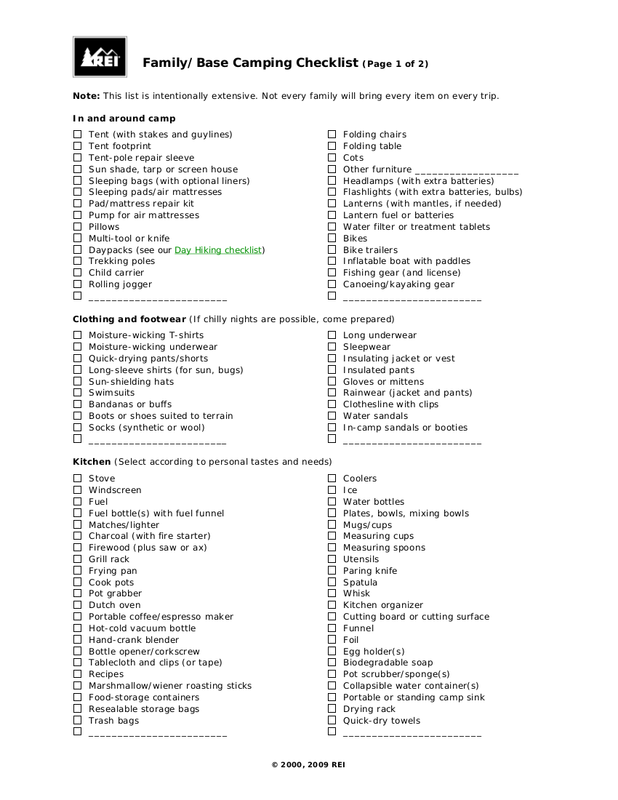 It could contain the list of items that you need to bring for your camping and it could also contain the steps you need to do like booking for a site reservation or some car reservations for your camping trip. 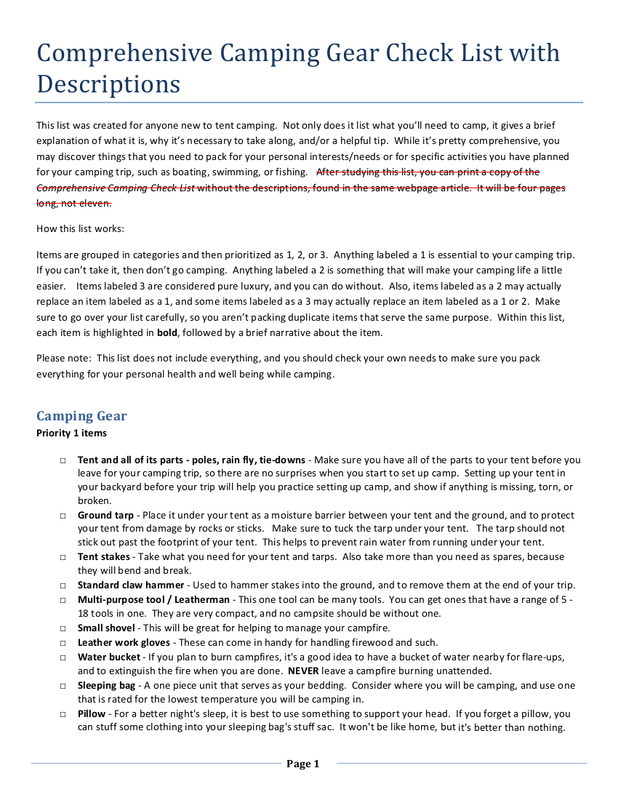 Make your camping something that you would be telling stories about for the next camping trips by making sure you have listed everything down the items and things you need to bring or to do. And even if we cannot deny that the best stories would come from horror stories like your forgetting to bring matches, sources of light and power, and all essential stuff, still you would want to avoid any situation that would put you at a difficult state. 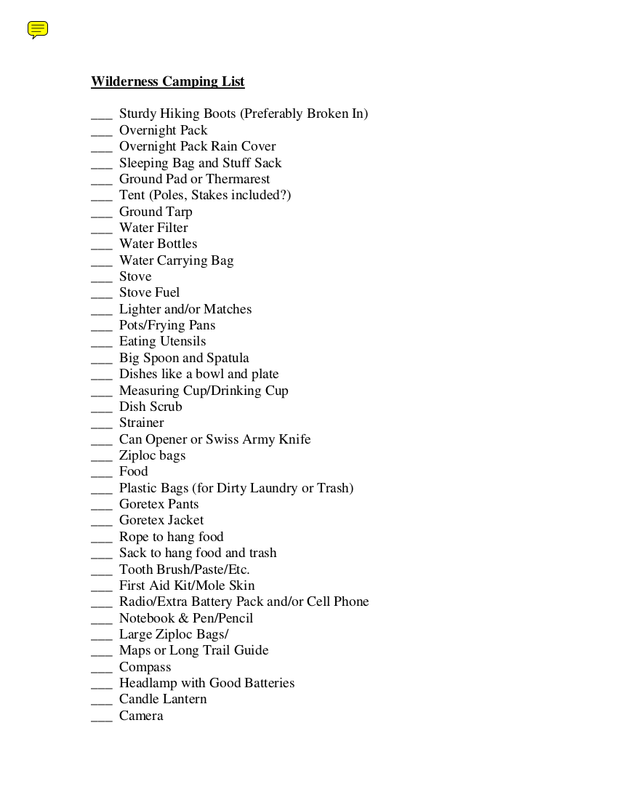 You might have tried going on a camping and you forgot a lot of the essential things to bring. 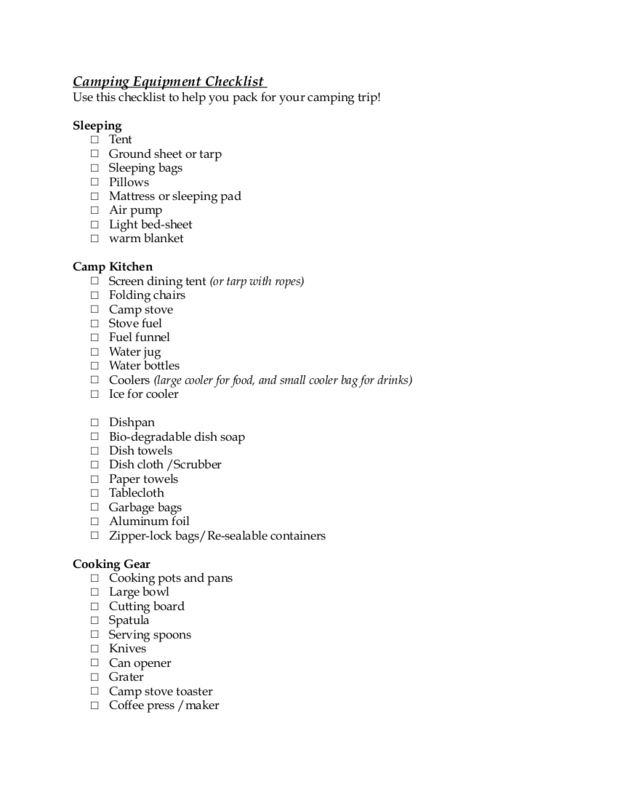 By creating your own camping checklist, you would really improve the quality of fun and adventure on your next camping trip. 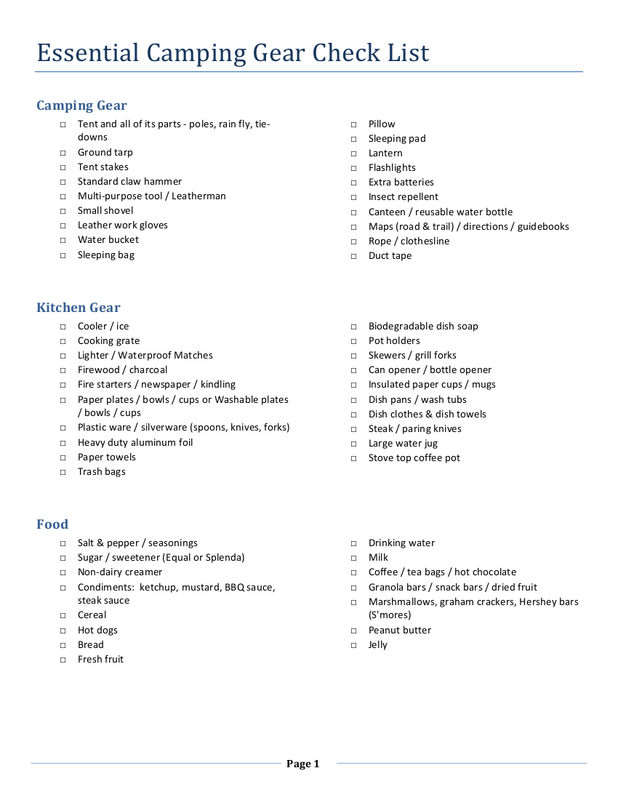 Let us state the obvious benefit of having a camping checklist and that is the fact that you would have a lesser possibility of forgetting the commonly forgotten things. Sure, you might have thought that you really badly needed to bring that cute foldable chair so you will have something to sit upon while making s’mores. But when you came to the site, you realized there a lot of rocks that could be used as a place to sit and that cute foldable chair you bought was just an additional, unnecessary load. 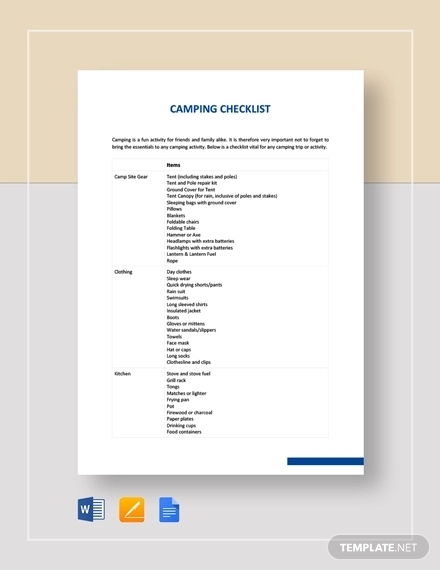 With checklists, you will be able to fit in your time to research about the site you are about to have a camping in. 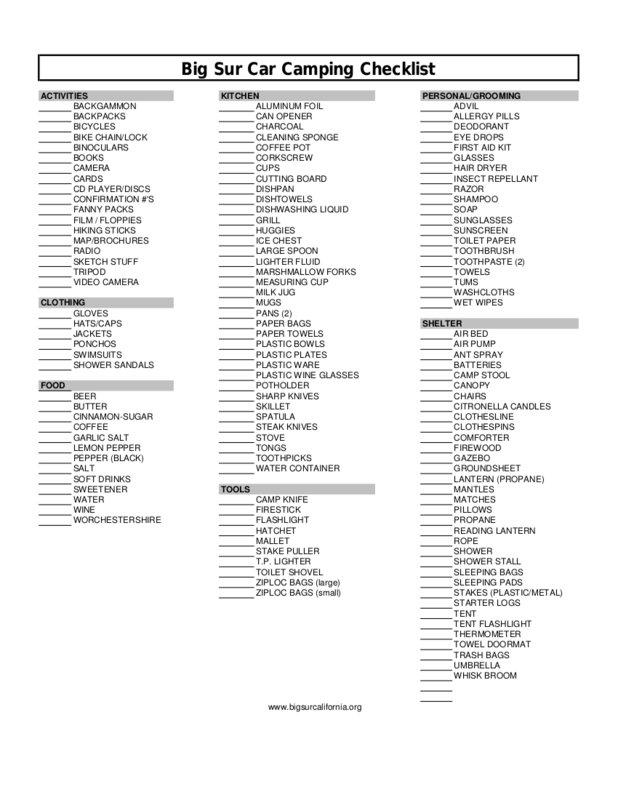 You would also have more time in identifying the things you actually needed and not just because you think you need it. 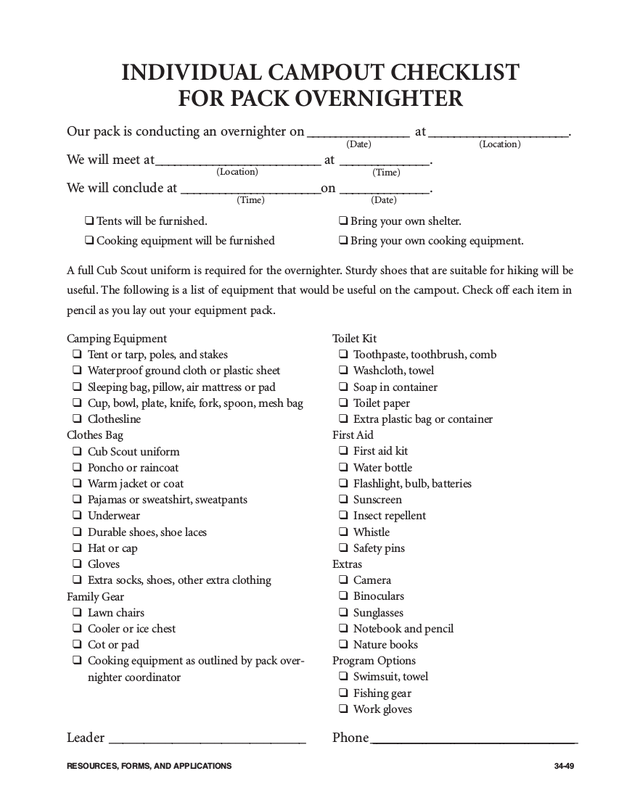 It is not only on reaching the campsite that you would be forgetting the things you actually needed to bring. 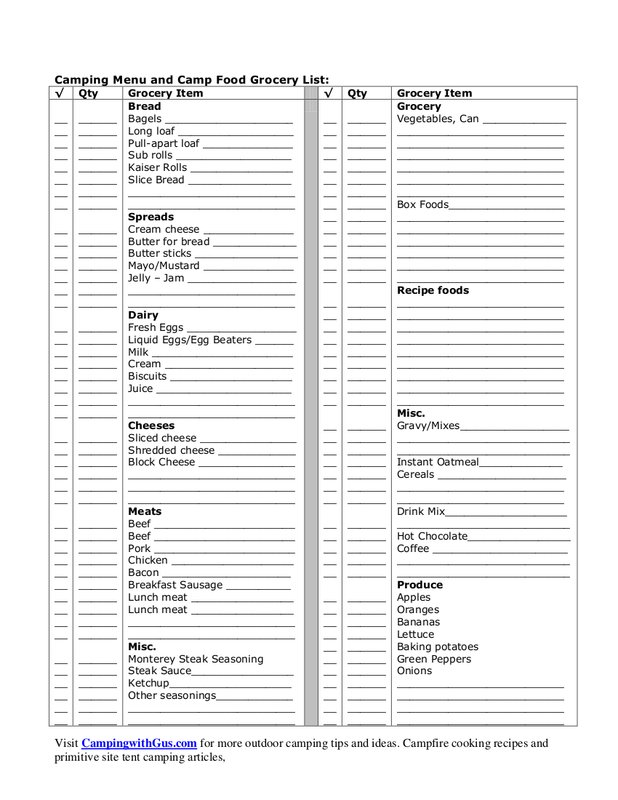 You would also encounter another episode of being forgetful, plus indecisiveness when you would reach the grocery or the department store. 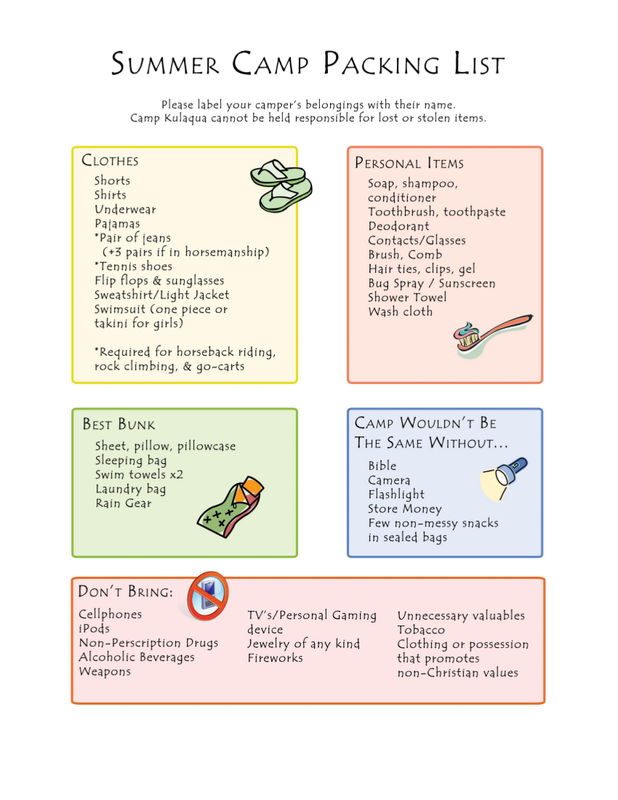 The following are the usual things most campers would usually forget in their adventure. 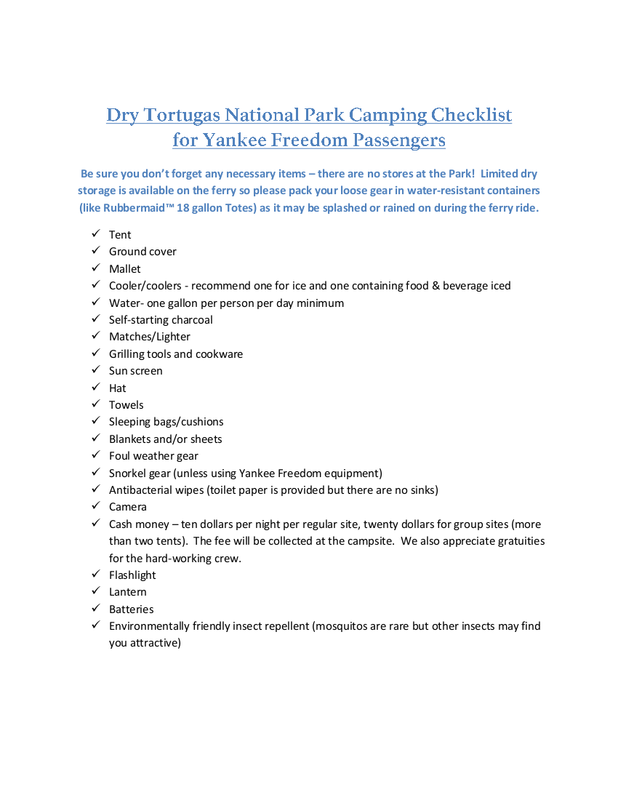 Make sure you don’t make the same mistake and ruin the supposedly fun activity by checking the listed things below are already listed on your checklist for camping. What’s a camping without a campfire? And even if they say that it is not a real camping if you don’t start a fire by just utilizing mother nature’s providence, just don’t mind them if you are only in a leisure camping. If you are not a veteran scout then don’t risk or even pretend to be one or else you will suffer the cold and the hunger due to the limited options brought by the lack of heat. It is common to earn some scratches, cuts, or bumps when in a camping when you would get to pass by the trees and bushes. Also, the campfire can also possibly cause burns. Chances also that your stomach or head will feel sick, ready first aid medicine would come in handy. 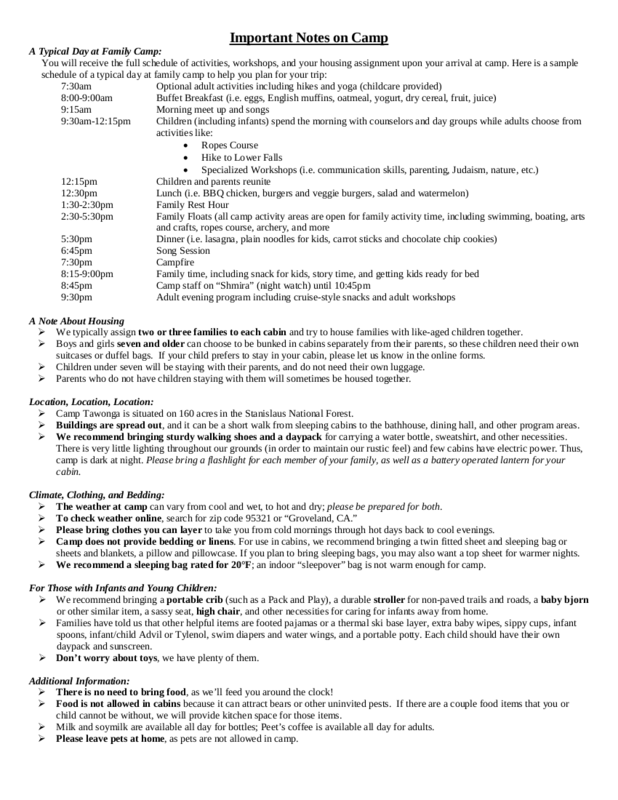 If you have undergone a real survive camp, then you would have known the many uses and the importance of a rope. If you are in for some adventure-slash-leisure kind of camping, ropes would be useful. You can use it for tying a lot of things. Again, if you are not trying to have a survival camp then just please do bring any source of light and you would have avoided a lot whining in the middle of your camping. You could bring flashlights or lamps that are lightweight and the quality and coverage of the light is strong and wide. Really, don’t depend solely on your phone’s light and just please stop believing you have night-vision eyes. Not supernatural powers but sources of power like a power bank for your cellular phone, since we all know that in this age most people are dependent on it and extra batteries for your lamps or flashlights. A friendly reminder says there is no power outlet in the woods so always make sure you have extra powers supply to you. Do not rely so much on your GPS especially if your campsite is remote and cannot receive any signal. It won’t harm you to go back the basics and bring a map of the campsite and a compass just in case in your adventure-seeking, you might get lost. 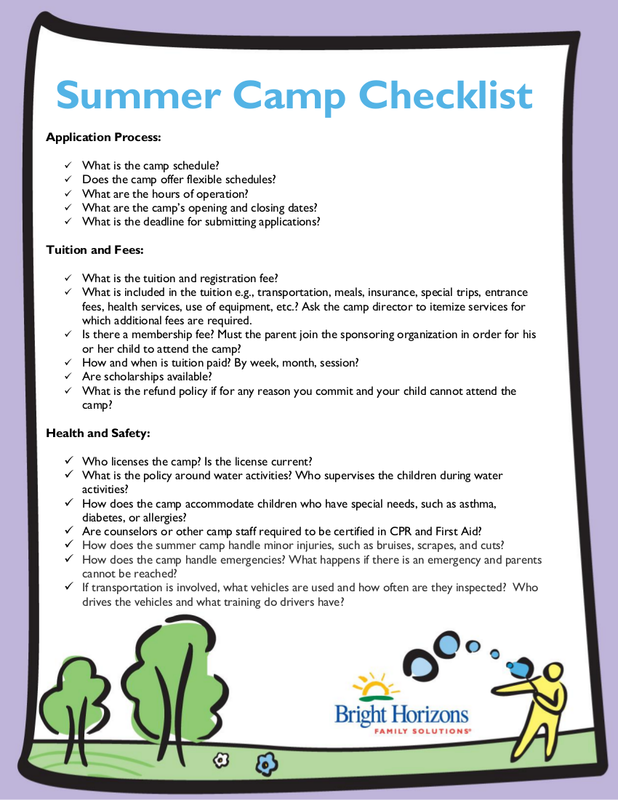 You might want to just have an overnight camp but who knows you might discover a lake somewhere in your campsite and you would decide to dip in? Or what if it rains and all you’ve worn are thin pieces of clothing? Or what if it’s hot and you’ve worn extremely thick clothes? The weather keeps on changing and you have no choice but to adapt to it. With your extra clothes, whatever the weather, you can still go on an adventure. This all in one tool is very important that there are some veteran campers who would say that if they are only allowed to bring one thing in the wild, it will be this knife. It usually contains a knife, scissors, large and small blades, can opener, tweezers, and a hole punch.